Working out while working it! Forever 21 just announced the launch of a plus-size activewear range, and the face of the line is none other than model Ashley Graham. In the first photo, released on Wednesday, January 6, the brunette stunner, 28, who&apos;s also posed for Lane Bryant and Swimsuits for All, rocks pieces from the new collection, including a sports bra and yoga pants in a marble print. She also wears a white shirt, wrapped around her hips, and black sneakers piped in white. And those are just a few of the fab pieces! According to a release from Forever 21, buyers can expect sports bras, pants, hoodies and tops that boast "high-tech impact attributes and anti-odor technology, as well as on-trend designs … for the woman who partakes in low-, medium- and high-performance activity." And here&apos;s one more fun detail: All of the bras will feature the words "No Days Off" on the elastic band, just in case you need a little motivation. 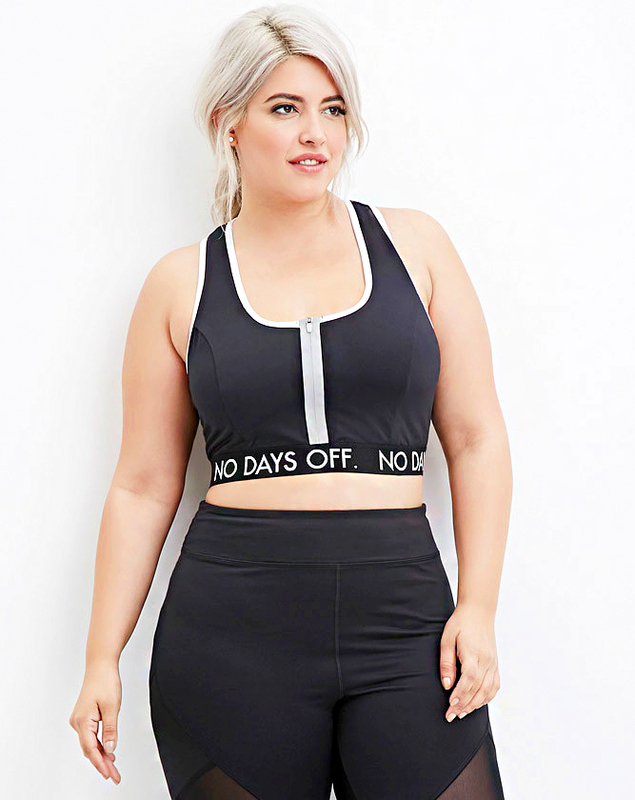 Forever 21&apos;s Plus-Size Active line ranges in price from $16 to $30, and is now in stores and online.